Defense officials say no service members have been forced out of the ranks under the Pentagon’s new “deploy or get out” policy put in place last fall, despite comments from the acting defense secretary suggesting tens of thousands of service members were removed from the force in recent months. Last week, in testimony before the Senate Armed Services Committee, acting secretary Patrick Shanahan said that his department has “roughly 21,000 fewer non-deployable service members” since last summer thanks to the policy, which officially went into effect on Oct. 1, 2018. Under a policy imposed last year by former Defense Secretary Jim Mattis — part of his effort to make the force more “lethal” — troops who are unable to meet deployment standards for 12 months are expected to either get a waiver justifying their status or face separation from the force. At the time, the policy sent shock waves across the military as officials estimated that nearly 11 percent of the active-duty and reserve force was considered non-deployable, or more than 235,000 troops. Since that February 2018 announcement of the new policy, more than 120,000 troops have been reclassified as meeting readiness and deployability standards. Yet Pentagon spokeswoman Lt. Col. Carla Gleason said that none of those individuals taken off the non-deployable list were pushed out of the service. Instead, the vast majority simply had their status updated, either because their health status improved or because they addressed bureaucratic issues like missing medical exams or fitness reports. The confusion on Shanahan’s estimate of 21,000 troops highlights the ambiguity of the “deploy or get out” policy. Non-deployable status is not actually grounds for separating service members. Instead they are separated for more specific reasons like physical disabilities, mental health problems or legal issues. Some of those issues, especially an injury, can lead to a service member being in a long non-deployable status, but the ‘deploy or get out’ policy that took effect last year did not create any new administrative separation codes. However, the policy did result in administrative changes to the way the military services made retention decisions. For example, the Marine Corps previously allowed commanding generals to decide whether to retain a Marine but after Mattis imposed the ‘deploy or get out’ policy, that decision was elevated to Marine Corps headquarters for closer scrutiny, Marine Corps officials said. Officials cannot say how many troops facing short- or long-term injuries may have left the force voluntarily since the new policy was announced in spring 2018. But none of those individuals were directly forced out because of the rule, Gleason said. As of the end of January 2019, the number of non-deployable personnel was 114,000, about 5.4 percent of the total force. Defense officials have set a goal of less than 5 percent for the new policy. While the Air Force is cracking down on airmen who can't deploy overseas, it might not mean the end of one's career. Pregnant, recently pregnant and combat-wounded troops are exempt from the new deployment readiness policy. 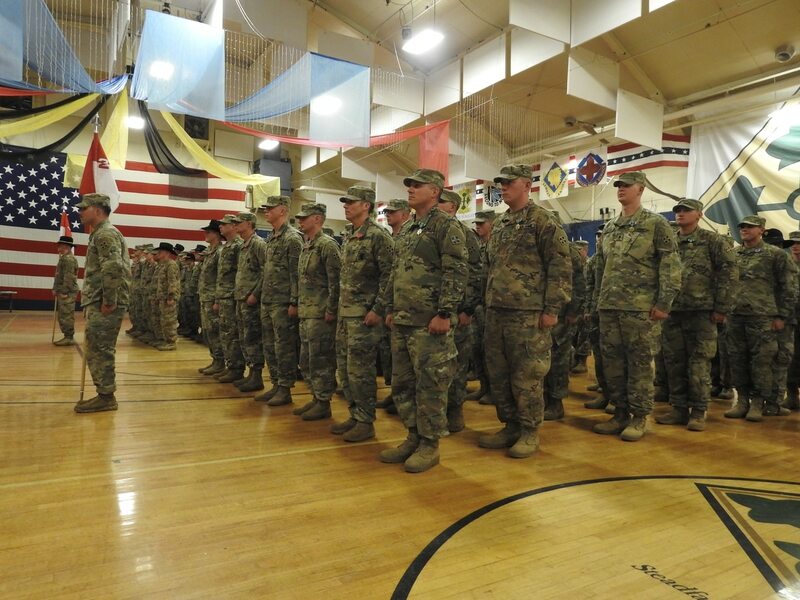 Over the last year, each of the services has revamped their classification and reporting requirements, to more accurately track troops’ readiness. Gleason said since October only 32 waivers to the policy have been granted, for individuals facing unique hardships. That number could grow as commanders continue to review cases of troops who don’t meet the deployment standards. Shanahan in his testimony said the new standards are important to keep all service members focused on potential future threats and missions.